On August 19, 2017, I posted, “A Teach for America Curiosity: When the Houseplants Outrank TFA.” In the post, I focused on former Chicago TFAer, Sarah F., who chose to omit explicitly identifying as a TFA alum on both her Linkedin profile and blog bio. In the self-promoting world of TFA, such omission by an alum is noteworthy. TFA depends upon its alumni to drum up continuing business. In fact, Louisiana TFA contracts directly mention recruiting TFA alumni nationwide to serve in the state-run Recovery School District (RSD) in both teaching and leadership roles. And let us not forget that a state board member, Kira Orange-Jones, and the state superintendent, John White, are themselves TFA alumni who are fulfilling the TFA call for alumni to fill key edu-political positions and, in turn, make it their mission to move as many TFA alum into key edu-political positions as is possible. But back to Sarah F.
As I was considering attempting to contact Sarah F. directly in order to gain more insight into her decision to omit any overt TFA promotion from her bio materials, reader Jack Covey left a comment on my August 19, 2017, post in which he indicated that just one month ago, in July 2017, Forst posted the following commentary on Youtube, in response to another former TFAer’s video in which that former TFAer, Christina C, comments that she did not notice TFA taking away jobs from career teachers in Detroit. Yeah, in Chicago it’s FOR SURE taking away jobs from teachers. The summer I started TFA (2013) there were 2,000 teacher layoffs in Chicago Public Schools… magically all the new TFAers still got jobs. We’re way cheaper than experienced teachers, so schools have an incentive to hire TFAers (or any brand new teacher) over experienced ones. TFA also completely props up charter schools in Chicago. Many of them have super high teacher turnover because the working conditions are bad and the salaries are WAY lower than Chicago Public Schools. But the charter schools can just hire new TFAers every single year, so they never have to worry about working conditions or salaries. So, here’s the thing. This is what I’d like to day. I’m not really, like, I’m not a huge fan of the organization of TFA; I’m not a huge fan of charter schools. But both of those things are not necessarily “evils,” they are not…. I don’t know how to express my thoughts. People are not evil in coming up with these ideas to, like do harm– or maybe, they are. It’s more of our system as a whole. Do I think TFA is going to fix our system? No. Do I think TFA inspires people to fix the system? Yes. … TFA really gives a pathway for people understanding the school system before they go into other things. Another criticism of TFA is that everyone leaves after their two years and that it’s not, like, retaining teachers. [Shrugs] That’s totally valid, but again, like I said, the people who are going on, almost everyone is staying in education and doing something else. I don’t think we should shame teachers for doing other things. Ah, but that TFA churn is no good for communities, or schools, or students. And are TFAers who signed on for a temp teaching stint from the get-go “teachers”? Those who major in education at four-year postsecondary institutions tend not to become gig teachers. Gig teaching is an enemy of school and community stability, and students value school stability. I know I did. One of my own former students approached me this week about a colleague who transferred to another school. It caught her by surprise, and she asked me if I had to opportunity to leave, would I choose it. I told her that teachers transfer for different reasons, and that I have had many opportunities to transfer but that I realize I would be leaving my school’s culture behind, and I would miss it. It meant a lot to me to hear. Moreover, when I was a K12 student, it meant a lot to me to have attended schools with minimal teacher turnover. It was a critical stabilizing factor in my development; from the time that I was 10 years old until the time I left home for good at 19 years old, my home life was markedly unstable. I cannot imagine adding the TFA byproduct of the teacher turnstile on top of my instability at home. In order to continue to exist, TFA has to market itself as necessary, which puts TFA’s corporate goals at odds with the employment of career teachers in certain regions, as Forst notes in her comment about TFA’s taking jobs from career teachers in Chicago. Her regrets include “wish[ing] I had pushed myself into the classroom while I was still in college” and “wishing I had spent more time in the classroom before being put in charge of one” (4:30). I have been teaching for 2 years. If you have been teaching less than five years, do you intend to stay in the profession? This question applies to me! I will always be an educator. My experience thus far has been frustrating in the sense that I see so many injustices daily that oppress the kids I teach, and I feel like I want to do more to help that. I can see myself going to grad school and doing research, but always remaining in education and focusing on what the kids I taught need. Two years in the classroom is not a teaching career. 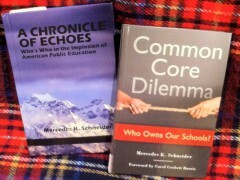 It concerns me that in the name of advocating in “the field of education,” individuals who do an eye’s blink of K12 classroom teaching are able to look past the disruptive churn that their speedy exits perpetrate. Of course, Christina C. could begin her advocacy by petitioning TFA to require its temp teachers to remain in the classroom for five years. Replace the TFA classroom-exiting “passion” with classroom-remaining commitment. I challenge Christina C. to set the example. Five year commitment, but still lacking so much more that a good four year degree program can and should offer, including a good dose on the history of education in the US, enduring philosophical disputes, and insights in to the dynamics of “school” as a social/cultural institution. The arrogance of the uninformed is amazing. Hi Mercedes. Neither Sarah or I heard from you before you decided to post this. If you had tried to reach out you would have been to include more information. Obviously I put myself out there, but its sad when people make assumptions. Hope to hear from you soon. What assumptions? I quoted both of you directly. Yeah I don’t appreciate that when it is used against me. I put videos out to educate. The way you are portraying me is someone who is leaving the classroom as an upset. From an author who has also furthered their education, I don’t think getting my PhD is, as you put it, a “speedy exit”. Again, if you would have contacted me, I could HELP you and give you information. Instead you are attacking other educators instead of reaching out to them first. Christina, if you wish to compose a formal response (1000-word max), I will post it, unedited, as its own entry. Please nclude multiple paragraph breaks ad refrain from profanity. You can post it here or on my “about” page. Also included two of your videos so that people could watch for themselves. I completely understand where this is all coming from and I do not disagree, however I find it very unfortunate that it seems some of your conclusions are simple assumptions since you did not share if you actually contacted these people to use their content or names in this post. I feel like you have a very strong opinion without using someone else’s content to “spin” ,for lack of a better word, to fit your needs. I know both of these women personally and I am deeply saddened by the way you have chosen to portray them and their stories. In the world of public education I feel like we are under enough fire and the way that you have chosen to use these young teachers is very unfortunate. The way that your post has come across seems to degrade them rather than support their stories. If I contact people, I write that I contacted them. In this post, I was clear about all sources of info. My conclusions are what they are. Reader agreement is not the purpose for my writing. The tone and language of this post is not degrading. I completely understand that my agreement is not your goal. I do not disagree with the TFA statements made, I am just more disheartened by someone of your status using younger teachers to make your point. Do you happen to know why Costa is leaving the classroom? From your point of view it seems as though you are trying to say the TFA is the reason she is leaving, when in fact that is not the case. She has shared, in another video on her channel, that she will be leaving to receive a higher degree. Seeing as how you have your PhD, I would hope that this is something you would be supportive of rather than ridicule her for leaving the classroom. In this same video she also shared that she will still remain working within the school she was teaching in to keep relationships with her students. Again, I know “reader agreement” is not your main goal, however researching the content that you use or the people you reference is important. Have you considered how this could impact their careers? Like I said, I do not disagree with the overall point of this, I am more disappointed in the way you used other’s content to degrade their stories to support your opinion. Mercedes offered both Sarah and Christina the opportunity to write a 1000-max essay that she will post word-for-word, totally unedited on this site as a separate article. Her only requirements were to make sure include paragraph breaks and refrain from profanity and then … lo and behold … Sarah and/or Christina will have full control over their response to Mercedes. Such a response could very well put her in her place and/or change her opinions, and/or changes readers’ opinions. What the ding-dong more do these two want? If neither of them choose to take advantage of this offer, then that speaks volumes. Jack, I offered this option to Christina. She communicated that she prefers to make a video. Sarah seemed to want anonymity, so I removed her last name and the name of her last school from the post. Any hope that those who reflect the “me, me, me, me generation” have a willingness to act based on the content of Nancy MacLean’s, “Democracy in Chains” and Gordon Lafer’s, Chap. 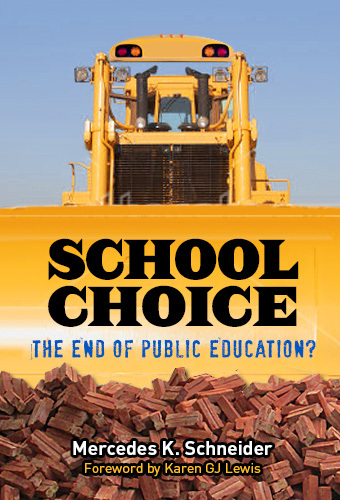 4, about public education’s destruction (The One Percent Solution)? Do older Americans (and future generations) deserve more in return for the sacrifices they made for the common good than, self-aggrandizing diaries and selfies of 20 and 30 somethings? The contrast in values within the same generation is startling. Thirty-four year-old Heather who gave her life in the Charlottesville protests against White supremacists, honored the best in American values as do Ravitch and Schneider. « Do Many TFAers Exclude TFA from Their Bios? A Search.